This listing is for a kit of parts to build the 64k RAM module only. For the rest of the modules, see my other products. This module allows up to 64k of RAM to be used (The full addressable range of the Z80 CPU). To avoid overlapping with ROM, the start address (and therefore usable size) can be set via jumpers. So, for example, if you are using the MS BASIC ROM that ships with the RC2014, set the jumpers for the RAM to start at 0x2000 (8k) which will give you 56k of RAM. The lower 32k RAM can be enabled or disabled via a page pin if required. 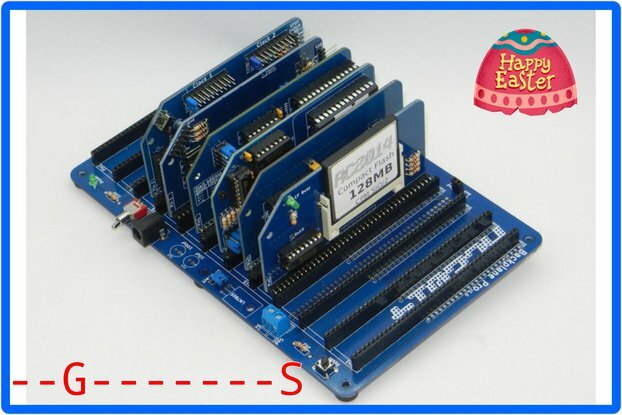 Full Kit - This includes all the components to build up the 64k RAM module including header pins, chip sockets, logic chips and 64k RAM. Never going to use it all! and SD Card Dump Board. It is good having all the memory available to use. So I can write the ROM routines.